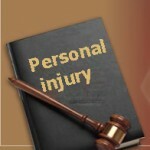 Personal injury means an injury caused to a person’s mind, body or emotions. Legally, it might be the result of negligence on someone else’s part or a defamation attempt for another individual. Personal injury has two main types – Intentional infliction of emotional distress (IIED) and negligent infliction of emotional distress (NIED). If an injured person can establish sufficient evidence that the accused person had acted negligently, then he can claim compensation for the damages caused. Any damage to the financial, mental, bodily or emotional well-being or property of the person can help to make claims. Compensations are generally monetary in nature. Defamation means wilfully spreading false and malicious statements to harm the reputation and character of a person or entities like governments, businesses, countries, etc. A defamation claim can be made by a person other than the defamed one, and it must be false. There are two types of defamation; Slander involves spoken defamation, and Libel means defamation in print or pictures. Different categories of personal injuries are assault claims, accidents related to road traffic or work or product defects as well as industrial disease cases causing occupational deafness, pulmonary diseases, etc. Negligence related to medical practice can invite medical claims. Depending upon the extent of negligence of the accused, the compensation varies. Whether the act of the accused was negligent or intentional, the defendant can ask for damages, which means the amount that is compensated to him. There are two types of damages; special and general. General damages are non-economic damages like pain, loss of loved one, and body impairment, while special damages are economic damages like medical expenses. Both are compensable losses. General damages are difficult to put in monetary terms, and the amount is usually unique in each case. Commonly, excluding the injury extent, an exact dollar amount is calculated for general damages. Special damages are easily calculable.